Application Advice: Long process. Video interview was tricky. A/C was good, they made the effort to make you feel comfortable. Application Advice: Use your cover letter to sell WHY you are interested in the industry. Interview Advice: Prepare for your interviews by researching the company, and thinking about why you like transport. The first question they asked me was: "how did you get here this morning?" think analytically about how you get around, and if you perceive problems with your journey. This will show interviewers that you can think laterally about something as apparently mundane as transport. Application Advice: Find out what work within the company interests you. You don't need directly relevant experience but evidence of transferable skills and a willingness to learn will be valued. Interview Advice: Do some background research on the company so you know which areas they work in that interest you. Be passionate and enthusiastic about working in these areas and the skills that you could bring to the company. Application Advice: Show you have a strong interest in transport or the given subject. You don't have to have had a strong history in it, however showing you intend to put drive into the work will be well received. Interview Advice: Be a real down to earth person. This company as a whole is looking for intelligent, diligent individuals who will bring their character to our business. Application Advice: Remain formal and professional. Interview Advice: Differentiate yourself. Too many of the same people in the industry and fresh ways of thinking are sought after. Application Advice: Really express your interests and achievements. It's fantastic doing so well at university, but it's the extra-curricular stuff that makes you unique. Write it down! Interview Advice: The interview process is not something that can be rehearsed, which is great! Everybody enters on a level playing field and are offered the opportunity to show off their personality. It is important to remember that the interview is designed to find compatibility between candidate and company. Application Advice: They are looking for people who have the ability to grow into leaders and are good at problem solving/thinking a bit differently. Interview Advice: Get stuck in with everything, don't sit back. Interview Advice: Be yourself. Genuinely express your passion for the business and sector. Most importantly - know your stuff. Don't get caught out by not researching the industry. Application Advice: If you are passionate to learn and get experience in the rail industry, show it! It is always best to demonstrate your enthusiasm for FirstGroup's opportunities specifically, rather than as "just another grad scheme application". Interview Advice: Having examples from work experience or other past events to draw upon is very useful to verify the skills you are trying to demonstrate/describe. Application Advice: Make sure you understand what skills First are looking for in a Graduate - you can get a good idea of these on the application page. Make sure you tailor your responses to these and try to put in a bit of industry-relevant information if you can. Interview Advice: Previous grads all have different styles but they've all shown they're passionate about the role they're applying for, are driven and can handle pressure. Interview Advice: Be keen and ask questions, show interest in the company, even if you don't know the company understand their place in the market and most of all show interest and drive rather than excessive levels of false knowledge. Application Advice: Research DHL well beforehand and have a good knowledge of the range of things they do. Interview Advice: Have examples prepared for when you have demonstrated relevant skills, and just be yourself during the assessment day. Application Advice: Do your research, find out about the company you are applying for and what is important to them. Also, consider what transferable skills you have and how these can be used in a new role. Interview Advice: Be honest, don't try to fit with what you think they are looking for. Application Advice: Do your research beforehand. Interview Advice: Engage with everyone at every opportunity. During group exercises make a point of including everyone, especially those that haven't taken part in the conversation. Application Advice: Research the role and be genuine about your interests. Also practice for the online testing by practising numerical, logic and grammar tests. Interview Advice: Be yourself; both in the video interview and at the assessment centre. Have an interest and passion for the railways and be prepared for practical questions in the interview. Thinking along the lines of going the extra mile for customers is also a prevalent theme. Application Advice: Be honest. Give details of any real life experience - doesn't have to be related to the bus industry. Interview Advice: Give examples and do your research. Know what First Group is about and try to think about how your answers can relate to this. Application Advice: Be open and honest. Interview Advice: Do not try to be the person you think that assessors are looking for, just be authentic and genuine and you are likely to be successful. Application Advice: Ensure that your CV is tailored to the job. Take some time to look at the company's website and see what they do, what skills are required to complete those projects and how you can demonstrate you have such skills. Interview Advice: Be yourself, showcase the best version of you possible. A job is just as much making sure that you and the company are a good fit. If you try to be something that you aren't then it will not end well for all told. Application Advice: Be honest. Highlight examples where you've shown true leadership. Demonstrate that you are someone who thrives on responsibility and decision-making. Interview Advice: Do your best to illustrate 'emotional intelligence'. Working well with a diverse range of people is fundamentally important to succeeding in supply chain. Application Advice: Don't try to be what you are not just because you're looking for a job. The application process is designed to see if you'll be the right fit for the company and also if the role is suited to you. By being yourself, and giving honest answers you know that you're staying true to yourself but also should you get through the entire process and be offered a position, you've got the right base for the position and that the company will support you with tools and techniques to go further in the role. Interview Advice: Research the company so you know the type of industry they are operating in. It's important to be able to find personal examples from your experience to answer questions as they're strength based questions. Don't be afraid to ask for a question to be repeated or a pause or some water, you need to be comfortable, so don't stress. If there is something you don't know, say so, don't lie and make up stuff; people genuinely see through that. Application Advice: Take it easy, be yourself, read up on DHL's core mission and values, take your time. Interview Advice: Have STAR examples ready, be prepared to go into full detail about past work experience, keep calm etc. Application Advice: Only apply if you are actually interested in Supply Chain and Logistics. Interview Advice: Be yourself!! The interview was part of the assessment center, use it as an opportunity to ask the interviewer about themselves and get a feel for them. This will turn the interview into more of a two-way conversation. Application Advice: Study company, TOC's and projects beforehand Take time applying, use specific examples Link previous experiences and learning in with companies values. Application Advice: Apply for the graduate scheme if you are hard working and want to work for an interesting, varied and successful company. Interview Advice: Answers aren't probed so answer the questions fully. Application Advice: Be professional, friendly and show enthusiasm. Show your true personality and if it is a match to the DHL culture you will be fine. Interview Advice: Listen to everyone in the group tasks, make sure your opinions are heard but do not overpower or dominate the group. Request to be timekeeper. Interview Advice: Use positive examples of how you made a difference to a certain situation. Think about your answer before saying it, have a notepad and pen in front of you so you can quickly structure your answer-it's very easy to give an answer that lacks depth/substance! Do not assume the interviewer knows what you are talking about. Paint them a clear picture of the situation. Application Advice: Be honest and open. Do your research and be prepared. Interview Advice: Ask questions - its as much about the company being right for you as well. Application Advice: Try to demonstrate an interest in the industry and highlight any relevant experience. DHL understand you may not have a lot of knowledge of the industry but will look for people who demonstrate their interest and willingness to learn. Interview Advice: Demonstrate knowledge of the industry and passion for why you want to join the industry. If you have the desire to learn and become an industry expert in a range of areas you'll be successful. Application Advice: Commercial awareness of the industry and business will set you apart. Thoughtful well researched answers. The company is interested in fit, they are therefore interested in you as a wider person, what do you enjoy to do, what are your passions? Interview Advice: Prepare thoroughly but answer naturally and honestly. Let your enthusiasm shine through. Practice technical and critical skills under timed conditions. Application Advice: Show your interest and why you want to work in the industry. Interview Advice: Be genuinely yourself, do not try to textbook answer any question! Interview Advice: Be confident, skills don't matter, personality and how you hold yourself does. You need to show you can control a team and hold responsibility. Application Advice: Be thoughtful about your application and take time with it, don't just fire it off. Interview Advice: Be yourself, relax and know that DHL are looking at your personal qualities as well as your answers. Application Advice: Focus on how your experience can help the customer. Don't worry about the fact that you have no public transport knowledge. Interview Advice: Focus on how your experience can help the customer. Don't worry about the fact that you have no public transport knowledge. It's a people-focused industry so emphasize the importance of this in interview questions. Any management experience you have will also be valuable. Application Advice: There are many stages to the application. Be natural, be prepared, be honest. Interview Advice: Do your research about the company. Understand what the role is. Give examples of previous roles and experience you have gained. Application Advice: Don't expect it to be a 9-5 job. It certainly can be but you won't get half the experience without working all sorts of different hours. Interview Advice: Be calm, be honest and enjoy the interview experience. It can be daunting but you're there to show why YOU are best for the job. Application Advice: Be yourself and show how through all your different experiences of work and education you have developed. You don't have to write another dissertation, just be clear and concise! You don't need to be in university to apply as long as you graduated within two years of your application you are eligible and that experience after university gives you additional skills and knowledge. Understand that the transport industry does not stop outside 9am to 5pm. Interview Advice: Take your time and think about the questions, don't immediately jump to an answer which could seem irrelevant. Don't be afraid to show your personality in the interview because the interviewer can see through most applicants who are "acting". Talk about what unique experiences you have had and what skills you have gained from them. Application Advice: Process involves a variety of tests e.g. numerical, competency. Interview Advice: Practice questions such as competency based answers. Application Advice: Be yourself, and research the company well. Interview Advice: I can't remember what questions I was asked, but giving lots of examples is really important. Application Advice: Be honest as much as possible, not looking for numbers, just your thought patterns. Interview Advice: Be honest as much as possible, not looking for numbers, just your thought patterns, be clear with what you are saying, be prepared. Application Advice: Think about why you're applying for that role and not applying randomly, you need a passion for DHL and logistics. Interview Advice: Be calm and yourself. Application Advice: The process is quite extensive but this is to make sure you are right for the company and on the flip side of this, the company is right for you. You need to make sure that you are joining a company where your values and expectations match that of your employers, this justifies the numerous stages if the application process. Interview Advice: Be yourself and do not over articulate your approach. You are a person, not a robot - show that. In any organization and especially logistics you have to be a people person, the skills can be taught. Application Advice: Show an interest in both DHL Supply Chain and the Logistics industry. They are open-minded to the subject of the degree that you have, so don't be caught up on whether your degree is directly appropriate. Always show enthusiasm when answering questions as they look for keen individuals. Interview Advice: Interview is in the form of an assessment center/experience day. Day made up of 2 group tasks, an individual presentation and a 1-2-1 interview. Group tasks are looking for active leadership, teamwork and communication, so be sure to always give your input into the scenario. Timekeeping is vital during these tasks. The presentation is highlighting your communication skills and the ability to stick to the task and deal with on-the-spot questions. They are not assessing the material of the presentation itself, so don't be caught up on this. The interview will require lots of examples from your past experiences (not just work - uni, school, part-time jobs, hobbies). Be confident and make the most of being able to talk to other candidates, current graduates and assessors. Application Advice: Be yourself, use the opportunity to talk to DHL representatives - applications are as much about making sure a company is a fit for you as for the company to make sure you are a good fit for them. Everyone I have met in DHL has been very generous with their time and open and honest about what you can expect from the company. Interview Advice: Great thing about the process is that there are multiple opportunities to showcase what you have to offer the company. It isn't all on one pitch or one interview, and no-one is trying to trip you up; just trying to give you the opportunity to share what you have to offer. Just approach it like that and enjoy the assessment centre day. Application Advice: Be sure you want to spend time in operations. Be clear about what you want to do in future placements - if you argue a case, they accommodate. If you don't, they fill spaces as they see fit. Application Advice: Take your time and think logically. Interview Advice: Think in a logical manner and give practical examples of your experience. Application Advice: Sell yourself well - show enthusiasm to develop. Interview Advice: My interview felt like more of a conversation than an interview. I was asked questions such as 'Do you see yourself looking at the little details or do you look at more of the bigger picture?' - there was no wrong answer but it depended if your way of thinking was suitable with the role. Application Advice: Prepare and put the time in to do it. Interview Advice: Preparation, as it is a long process. Application Advice: You do not need any car knowledge, you just need to demonstrate that you are bright and energetic. You have real responsibilities in your role. Interview Advice: Research competency based interviews and find an example of each competency e.g. 'Tell me about a time you had to lead a team to do something they did not want to do' would be an influencing competency question. It is all about what you personally have done previously and what the outcome was. Application Advice: -Make sure you know what you are applying for and are aware of what will be expected from you if you are successful. -Give a good account of yourself, the reasons you would be a good candidate, and make sure you come across as engaged. Interview Advice: -Research the company, read the values, come prepared with examples of how you demonstrate the company values. -Come prepared with some questions of your own. -Be presentable and professional. Interview Advice: Research the company history but also look at recent news stories related to the transport industry in general. Application Advice: Do your research about the company. Understand the industry. Interview Advice: Have examples of going on buses and taking note of the drivers, routes and locations. Application Advice: you must be aware of what you are going into - you cannot treat operations like a 9-5 and have to show that you are willing to work unsociable hours to be truly accepted by the colleagues you manage. Interview Advice: ensure you use techniques such as STAR but also then introduce an element of reflection/evaluation. Application Advice: Show yourself to be a well-rounded person able to adapt to different circumstances. You will be working with all sorts of different people across several departments. Interview Advice: The interview consists of different modules. Come prepared to work under pressure both on your own and as a team. Get to know the others in your interview slot - some of them may be your colleagues shortly. Interview Advice: Just be yourself and answer the questions with confidence. Application Advice: Research the company heavily. Be confident in your ability. You need to be the right person for the job, lots of people management is required. Most of the graduate schemes are heavily operational. You have to be comfortable with this. It is likely you will have to relocate but that is a good thing. Interview Advice: Be confident. Show your people skills. Management, quick thinking and strength/quick decisions in sticky situations is key for this role, make sure you give examples of this. Application Advice: Don't just focus on academic achievements. Interview Advice: Be yourself - it is more about if someone's personality is a cultural fit for the company, than qualifications. Interview Advice: Challenging process - looking for great personalities who can develop and lead difficult environments. Application Advice: If you have skills in foreign languages, include this in your application. As a global company, DCC is interested in these skills. Interview Advice: Ensure you have examples of when you have used your skills in the workplace, university etc. When presenting, make sure you have documented the sources of facts and statistics. Interview Advice: Enthusiasm, be social, show commitment, show knowledge of recent events/industrial relevance. Application Advice: Nothing worth having comes easy, so I suggest research everything about the role, the company's history and also the company's future ambitions/ markets. Interview Advice: Be sincere, be passionate and try to visualise how you see yourself helping society through the role you want to get into. Application Advice: Research the key metrics of the company and apply these to the questions. Application Advice: Answer any questions honestly and convey why you are applying for the role and what you can bring to it. Interview Advice: Be yourself and show enthusiasm for wanting the role. Interview Advice: Be very aware of your own character traits and how you gained those in the past. Application Advice: Modelling tends to attract very logical people. You don't have to be a robot though. It's good to show a bit of your personality and passion for the sector. Analytical skills are a must. Interview Advice: Asked about the challenges facing the transport sector in the near future. Application Advice: Show passion for the company and think of examples that will make you stand out. Interview Advice: Be yourself and show passion. Application Advice: Keep the application simple and refer to any previous work/life experience when possible. Interview Advice: I would encourage candidates to be enthusiastic, willing and most importantly themselves. Our interview process allows us to view candidates in varying scenarios and we look for a genuine person who has the ambition to learn. Application Advice: Practice psychometric tests, and try to be relaxed in the video interview, think about your setting. Interview Advice: Be yourself and demonstrate what makes you stand out as a leader and team player. Research the industry and the company's core values. Application Advice: Be open, honest and focus on the competencies and positive characteristics you have which would be beneficial to the company and would suit the role. Keep the application concise. Interview Advice: Prepare for anything. Practise at home and be prepared for unexpected questions or comments. Make sure you know your CV, application and abilities off by heart and be prepared to offer examples of how you have demonstrated certain competencies and qualities in the past. Application Advice: You don't need experience in the industry but you need to show that you are able to manage projects and people - give examples of projects you've led at uni, or maybe a charity event you've organised. Research the industry and relate your own experiences to it. Check the company's Vision and Values, and make sure you answer these directly. Interview Advice: Same as the interview stage, but make sure you really understand the industry - its challenges, innovations, trends - and know First's involvement in these. Make sure that you show confidence and enthusiasm, and interact well with the other candidates and assessors. Application Advice: Display an interest in transport and highlight your analysis skills. Interview Advice: Have an answer ready on your favourite mode of transport / which mode of transport will change the most. Application Advice: Show you have an interest in the product and an overall interest in the retail industry. It is important to understand the off-price retail model of TJX and to have an interest in this unique way of retail. Interview Advice: Be friendly, confident and be yourself. Show your enthusiasm for the industry and TJX and think about what you could bring to benefit the company. E.g., one question asked was what product/brand would you bring to TK Maxx/ Homesense to bring excitement and drive sales. Interview Advice: Take time to research the company values. Application Advice: Get some experience external to University, don't just use Uni experiences. Data handling is key for SC. Interview Advice: Most challenging experience and how you overcame it. Ensure your competency interview is strong. Supply Chain issues in the future (next 5 years). Talk to someone in Supply Chain about what they enjoy about SC and try and get some exposure to what roles are available. Application Advice: Tailor your CV to the company specifically. Look at the different values and KC behaviours. Interview Advice: - Be yourself. - Make sure you have done your research and know details about the company and their values. - Network and speak to as many different assessors as possible throughout the day. Application Advice: Make sure you come across as a confident individual but do not overpower the application with over-inflation in self importance. Interview Advice: Be calm and make sure you have done research into the company and wider industry. Knowledge of the company impresses people. In group tasks, do not just be the loudest in the group, be the one who is including quieter individuals in the group. Application Advice: Research into the company's policies goes a long way. Have a clear vision of what you think you can offer and get out of the company (even if that isn't a clear link to Supply Chain, there's a high chance you can personalise your experience towards it). 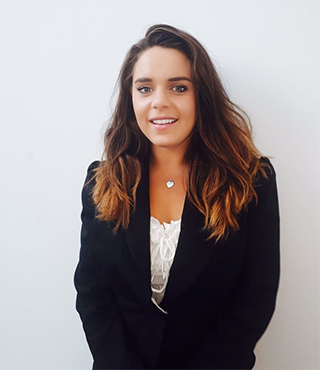 Interview Advice: Connect on a personal level, I was offered a job at first outside of the grad scheme because I got along so well with my interviewer and then proved myself to join as part of the scheme the following September. Application Advice: Inform yourself about the company and realise that DHL is not only delivering packages but way beyond. Interview Advice: I would advice to gather as much information about the vision, mission and goals of the company. Be yourself. Show your skills and be a team player. Interview Advice: Show enthusiasm and take feedback on board. Application Advice: Do your research, think why do you really want to be in logistics. Interview Advice: Give practical examples of skills you wish to demonstrate. Application Advice: Try your hardest to get experience on the river. Put yourself out there, be confident gain experience in the marine industry. Interview Advice: Study the PLA marine service vessels and make sure you have a good idea about the PLA's responsibilities. Application Advice: Make yourself sound interesting. Tell them about times you have shown good leadership whether that be in work or not. Interview Advice: Be confident in your ability. They're looking for managerial qualities so make sure you communicate well with the interviewer and show that you are well organized and prepared for the interview. Application Advice: I wrote about experience from previous work or life situations that were suited to the role to show that I was capable of being successful in this apprenticeship. Interview Advice: The questions I got asked were mostly competency based questions about previous situations I had been in or what I would do if this situation were to ever happen to me. I also had to give a presentation on logistics to my interviewers and they would then ask me questions on information I said. The interviewers were friendly and made me feel comfortable and would prompt me on the competency-based questions if I hadn't been in the situation before. My interview felt more like a conversation as I was put at ease and went very fast. Application Advice: Don't hesitate! Just apply already! Interview Advice: Be confident. Do not rush. Quality over Quantity! Application Advice: Make your CV, telephone interviews, etc. as truthful as possible - don't be untruthful trying to create a better picture of yourself as you don't want to mislead them. Interview Advice: - Don't be nervous, it may seem daunting however be as confident as possible. - If asked to create a presentation, don't just read off the slides - develop your points, talk in detail about the information. - Try and provide as many real-life situations as possible in any competency questions to show that you are able to overcome any problems. Application Advice: Try to experience as much as you possibly can before applying. This experience is vital while in the working world as you are aware of different situations and how to deal with them, making you more appealing on your CV. Also, knuckle down on your studies. Having strong qualifications just shows the employer that you are capable of the workload and also being able to understand it at a high level. This is crucial whilst on an apprenticeship like this as you will encounter new knowledge every day so having the ability to process it all and understand it is vital for efficiency and even your own progression. Interview Advice: Sounds cliché but just be yourself. DHL is a company that is reasonable and prefers to go for the person rather than what is necessarily put down on paper. Having self-confidence and vital past experience (in any area not to be exact) is crucial in making you stand out to the employer. Yes, qualifications are key but without having that self-confidence being portrayed in the interview, the employer may not think you are fit for this (sometimes) intense course as you will constantly be in contact with various different people including managers of high importance. Application Advice: Make sure to present yourself as flexible. Interview Advice: Prepare a lot. I received a lot of scenario based questions. Application Advice: You need to look into the role and even when you are applying show your commitment. They will send you various tests to complete online before you get put forward for an interview. Take your time with these tests and always complete them on your own. Interview Advice: For my interview I had to complete a 10 min interview about myself and my weaknesses and strengths. In the online tests, they give you feedback on certain qualities that you should showcase, along with ones you should work to improve. Use these to your advantage and speak about them in your interview. Interview Advice: Just be yourself, question are straight forward. They won't trick you. It doesn’t matter if you are very skilled or not, they will train you. Application Advice: Have a good CV and answer all the questions honestly. Interview Advice: As the interviews are done in groups I think that confidence is a massive factor to help stand out. Also ensure to research the company beforehand and ask questions when the time is right. Application Advice: Make sure you answer everything as thoroughly as possible, putting the most relevant information first. Interview Advice: Do your research about the company and seem enthusiastic and interested in the company and the role that you are being interviewed for. Application Advice: It is better to try and possibly fail than it is to fail to try at all. If you take a snapshot of your life today and look back in 5/10 years a lot will have changed good and bad, why not take control and make a positive change. Interview Advice: The best advice I can give is prepare, know your CV and think of something genuine that you can say about your past history. They will ask questions about how you will deal with a variety of situations, some of them will catch you off guard and some will be easy to answer. Be honest, be genuine, be yourself. Application Advice: Make it clear you have experience in what you are applying for. Don't apply for a role in IT if you have never had an interest in IT. Show that you are passionate and keen about the company and have done lots of previous research prior to applying. Interview Advice: Stay calm. When I have an interview I always go in with the mindset that I already have a job so getting this one is a bonus and a great new job. It's not a disaster if you don't get it. If you act confident then the interviewers will have a lot less to fault you on. Application Advice: Be confident but not cocky, be engaging and positive. Speak clearly and passionately about your own beliefs and your own abilities. Interview Advice: If you are unsure of how to answer a certain question ask to revisit it later or at the end of the interview. Speaking just to try and fill the time is not the thing to do. Proving that you are thinking about the question is better than answering without thinking. Application Advice: CV/application should show evidence of times when you have worked in a team or been a leader and be tailored to this industry. Show why you want to work in the industry, what experience you have and skills that will be useful to make you stand out. Interview Advice: Questions I was asked: - Why the logistics industry? Why DHL? - When have you utilized the skills highlighted in CV? - What are your career aspirations? Be prepared to do a presentation with little preparation time - demonstrate confidence and assertion in your presentation and you will be fine. Aim to stand out in team activities by taking the lead and voicing your opinion, but ensure all team members are listened to and allowed to get their points across. This shows that you are a leader but also a team player.